A combination of glorious materials, Hotstar masks marvelous designing. 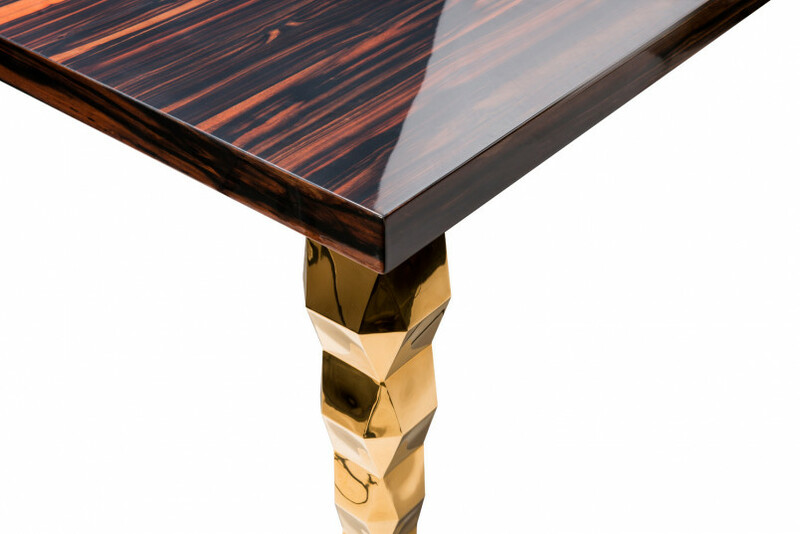 The table featured SS legs with gold PVD coating with top options available in ebony and lacquered high gloss. The marvel in the design lies entirely on the stunning SS legs wrapped coyly with gold. The weight of the entire structure and the design is carried by the glorious legs that give the entire structure a unique character and appeal.